Beautiful melodies sometimes tell us terrible things (Tom Waits), but if you pour music on whatever's wrong, it'll sure help out (Levon Helm). Salif Keita, one of the best-known names in African music, has an album dedicated to inspiring young people with albinism to build body confidence and self-esteem. 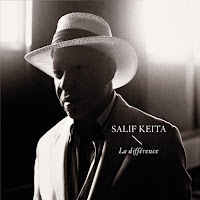 Keita's 2010 album La Différence won an award for its hope and joy for life themes. Salif is the son of two black African parents, but he was born ‘white’ because of albinism. Albinism is a lack of melanin pigment in the hair, skin, and eyes of people, which can lead to severe visual impairment and even skin cancer. In his native Mali, albinism is often seen as an ill omen. Young Salif was disowned by his father, kicked out of school, and rejected by the local aristocracy. Society, including schools in Mali, perpetuates harmful beliefs about people with albinism, who are often shunned, ridiculed, and even killed. Young Salif stood up for tolerance. Although he and others have come to terms with albinism, the famous musician has struggled with the stigma attached to his skin color. In 2005, he founded the Salif Keita Foundation to raise awareness of the genetic condition inherited from both parents. His album La Différence was dedicated to ending violations of human rights and inspiring young people with albinism to build body confidence and self-esteem. The Dove Self-Esteem Project is also committed to helping create a world where the next generation grows up enjoying a positive relationship with the way they look. With magazines filled with most beautiful women of all time lists, women and girls all over the world feel the pressure to be beautiful. The Daily Moss, which publishes news stories from India, says beauty tops the 15 things that every daughter should inherit from her mother. According to Daily Moss, there are very few girls who will be heard wishing they looked more like their father! Dove research shows that only 4% of women describe themselves as ‘beautiful’ and that self-criticism and anxieties about appearances and beauty develop at a young age. 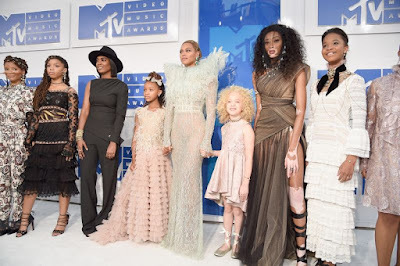 In 2014, Dove focused on the importance of positive role modeling with the film Dove: Legacy. The film reveals similarities between mothers and daughters when it comes to the things they like and dislike about the way they look. In 2015, Dove partnered with Women in the World in a series of summits. These showcased activists and artists like Beyonce, CEOs, peacemakers and entrepreneurs who have all in some way saved or enriched lives and shattered glass ceilings for women. As young teens, girls develop a sense of what being beautiful means to them. But the beauty standards and ideals girls are striving for are almost always impossible to achieve. The pressure to reach these ideals causes anxiety that negatively impacts their lives. A Dove campaign, Choose Beautiful, surveyed 6,400 women ages 18 to 64 from five cities around San Francisco, Shanghai, Delhi, London, and São Paolo, to be exact on their feelings about beauty. The survey touched on the old conversation that the author Amanda Filipacchi broke down so well in a commentary for the New Yorker on her new book on human beauty. “For every scene expressing my disapproval of someone’s love of beauty, I wrote another scene in which I took great pleasure in imagining and describing that beauty,” Amanda explained. “I reveled in my love of human beauty while frowning upon that love every step of the way." Amanda also asked some tough questions, such as why does beauty count for more than anything else in the appreciation of another human being —particularly of women? Why don’t other qualities count for more? - Eighty percent of the women surveyed by Dove said that all women have something beautiful about them, but 96 percent said they wouldn’t use the word “beautiful” to describe themselves. - 78 percent said they don’t feel completely confident in their own beauty. - 32 percent say their biggest beauty pressure is the one they put on themselves, and seven out of 10 women agree that beauty is more than physical appearance. - Only 88 percent of U.S. women say they believe that every woman has something about her that is beautiful, compared to 94 percent of women in India and 91 percent of women in Brazil. "Many of them stopped and thought for a moment before making a choice, and one even walked away," Miller said. "Unfortunately, many picked the “average” door. “I didn’t even hesitate,” confessed one “average” woman in the video. "Some did go through the “beautiful” door and seemed pretty happy about it. “It was quite a triumphant feeling,” one woman recalled." This year marks the fifth anniversary of the International Day of the Girl (IDG 2016)!